What crazy ideas fly out of your mouth when you’re under pressure? Whatever they are, this word game will add laughs to your next party. 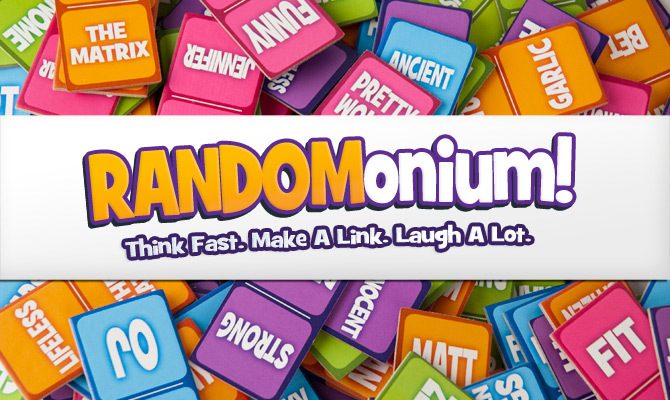 Grab 10 Randomonium word tiles. Flip over the 20-second timer. Frantically think of ways to link the words on your tiles to the words that have already been played. Try to ignore the peals of laughter from other players. Try not to pay attention to the sand running through the timer. Be creative as you like, your fellow players will decide if your plays count or not. Repeat as needed until you reach the necessary level of amusement. 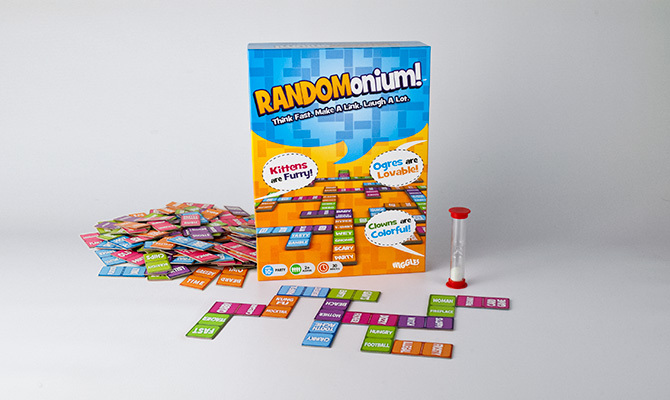 Randomonium is fast-paced and perfect for a crowd. Try it and see why free association has never been so much fun!